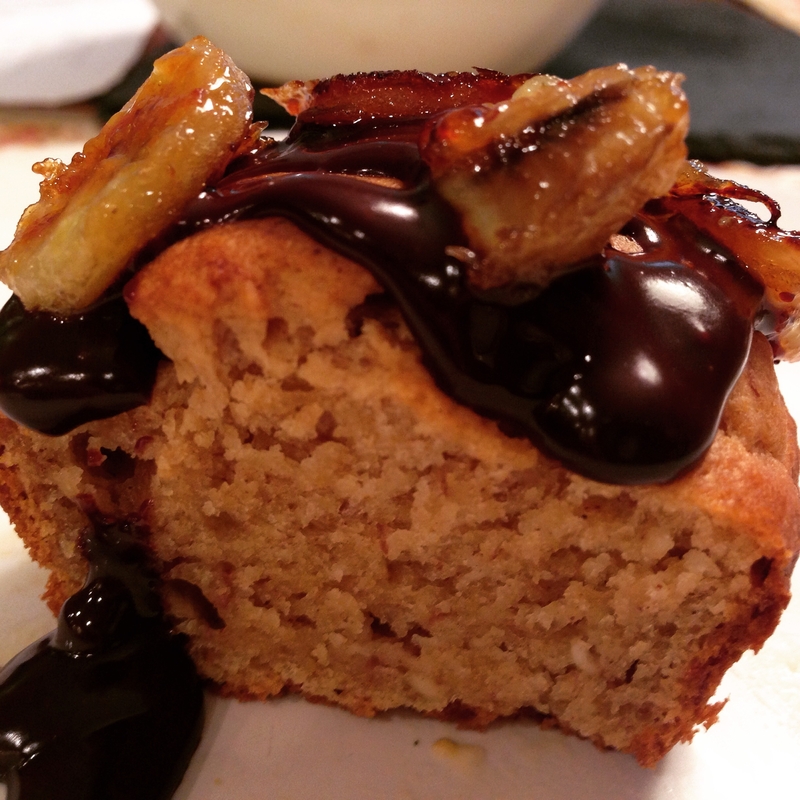 I heard about Chiquita hosting a recipe contest which ends tonight at midnight! The winner will receive $2000. I would even be happy with a runner up mention. The requirements are to include bananas, cream cheese, and chocolate chips. I’ll be honest: Other than my oatmeal cranberry cookies, I am not a regular at making up baked goods without some type of guidance or modifying an already existing recipe. I decided to get the required ingredients and then just experimented. My first round was all or nothing because I wasn’t going to have any extra time today to try again. The first batch being successful was a BIG surprise! I think we will definitely be making these again. Because they are lower in sugar than most cupcakes, they are similar to a muffin but definitely with the light, moist cake texture. I really wanted to avoid using the cream cheese in commonly thought of ways like frosting or cheesecake. I decided to incorporate it into the battter but lightened up the density with sour cream. 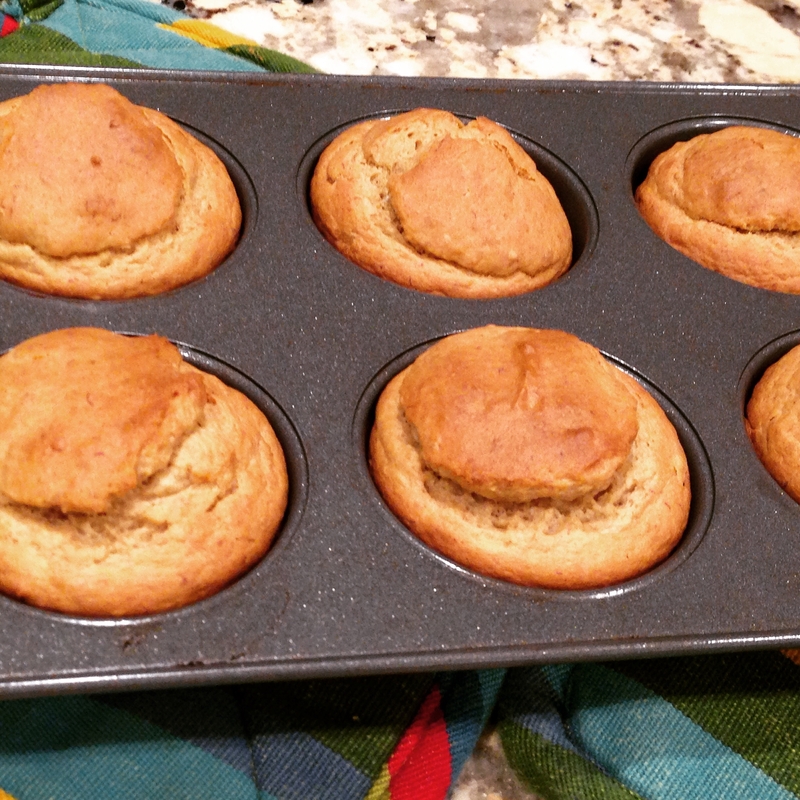 They came out with biscuit looking tops likely because I dolloped a little more batter on after the initial filling. 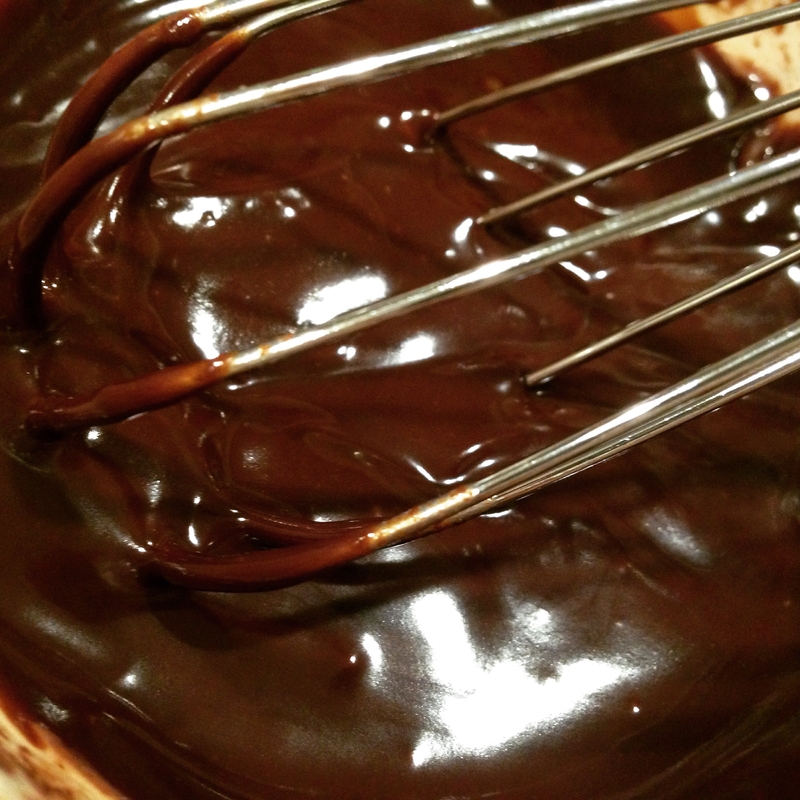 I love making ganache which is like a thicker chocolate sauce. It is so fast and minimalist yet rich and gourmet. We grill bananas all the time to top peanut butter toast with. 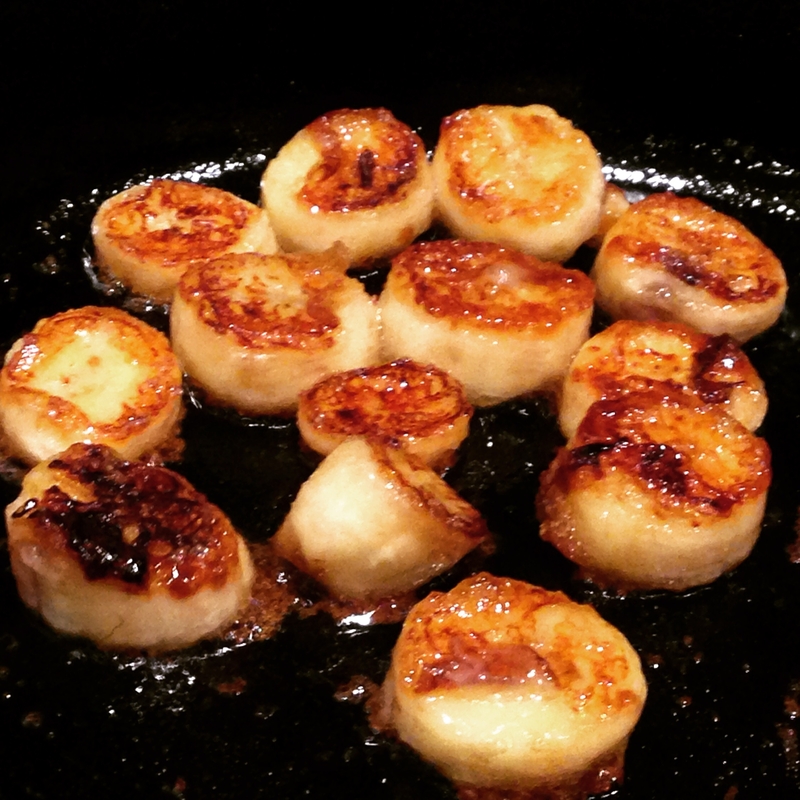 You can absolutely caramelize them without the sugar. The cupcakes were just right: not overly sweet, not dense, not doughy tasting, browned but still soft with a fluffy spring after each bite. 1/2 a cream cheese block, about 4 oz. Preheat oven to 350 degrees and lightly grease a muffin tin. 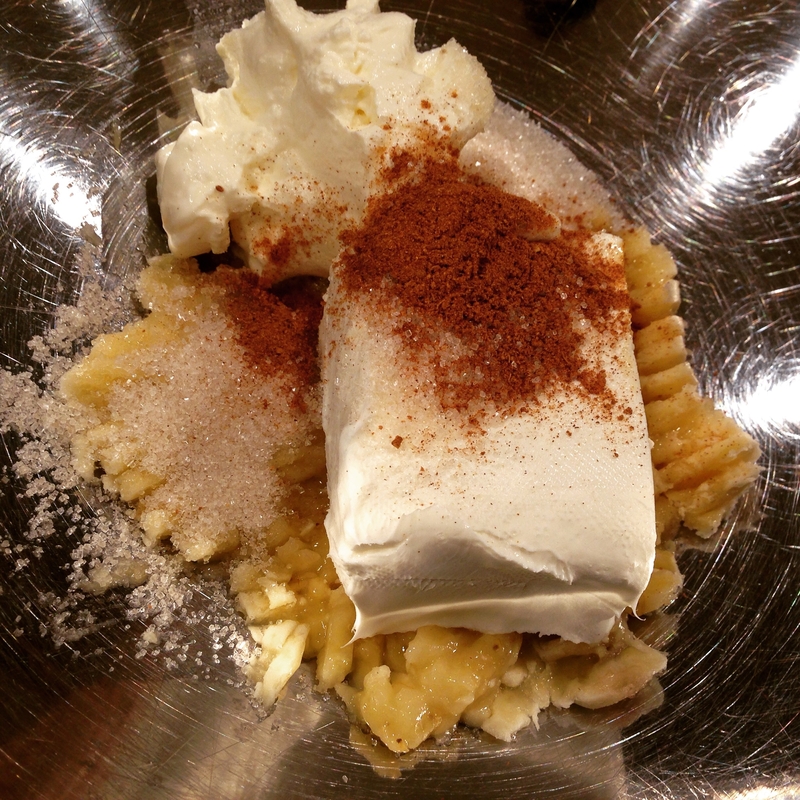 With a hand mixer, combine mashed banana, cream cheese, sour cream, sugar, milk, oil, vanilla, and vinegar. Sift in flour, baking soda, baking powder, and pumpkin spice or cinnamon. Fill each muffin cup 1/2 to 2/3 full of the batter. Bake for 25 minutes then cool for 15 minutes. Place chocolate chips and the 2 tbsp of milk in a microwave safe bowl. Heat for 30 seconds. Stir with a whisk until well incorporated. Heat coconut oil in a pan over medium heat. 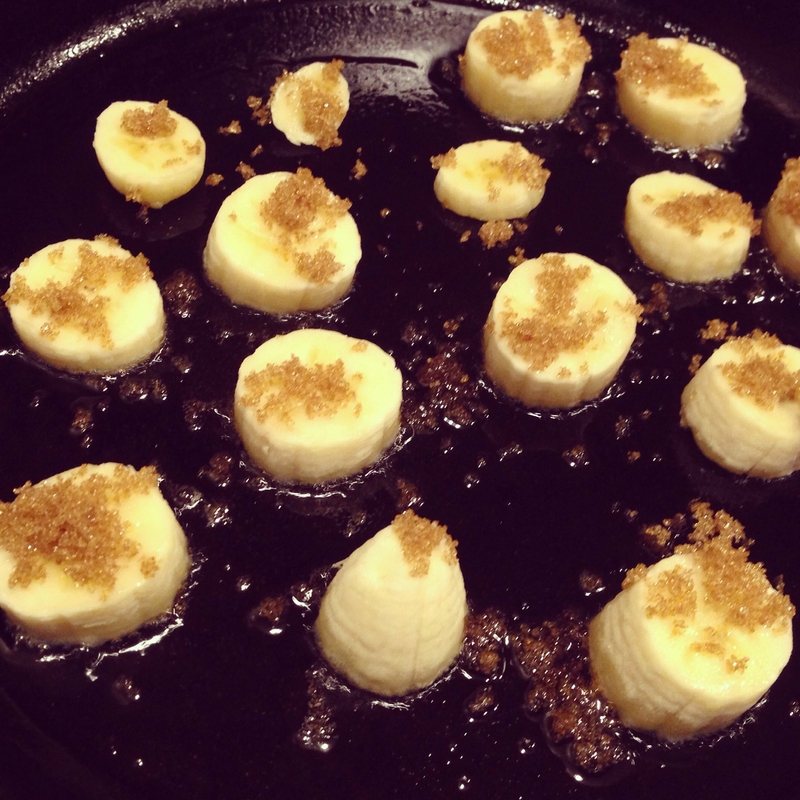 Place banana slices in the pan and sprinkle with the brown sugar. After 5 minutes, flip slices. Cook another 5-7 minutes. 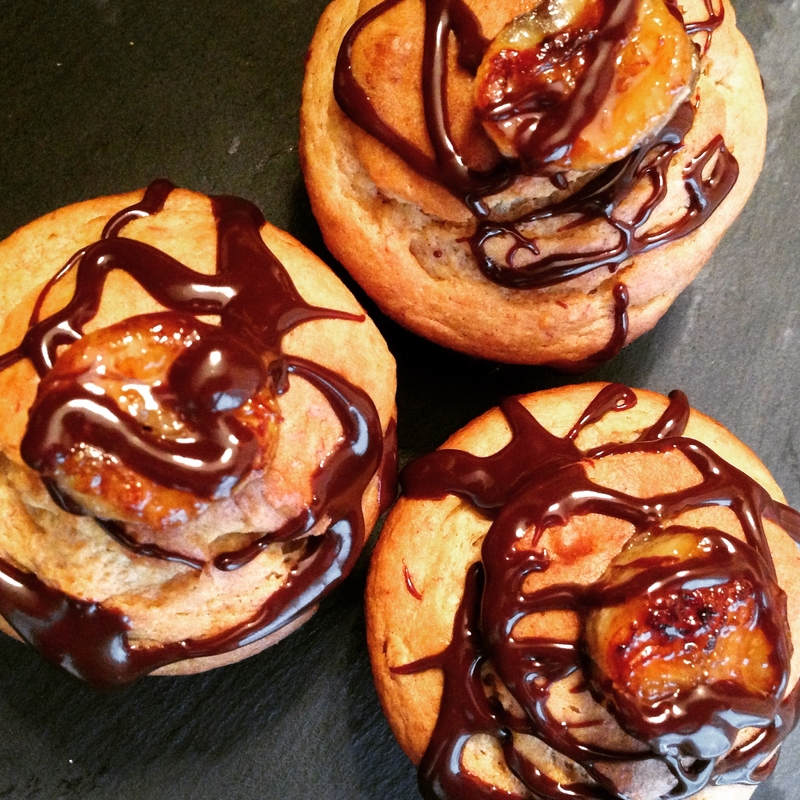 Dip a fork into the ganache and drizzle on cupcakes. Place 1-2 caramelized banana slice(s) on top. 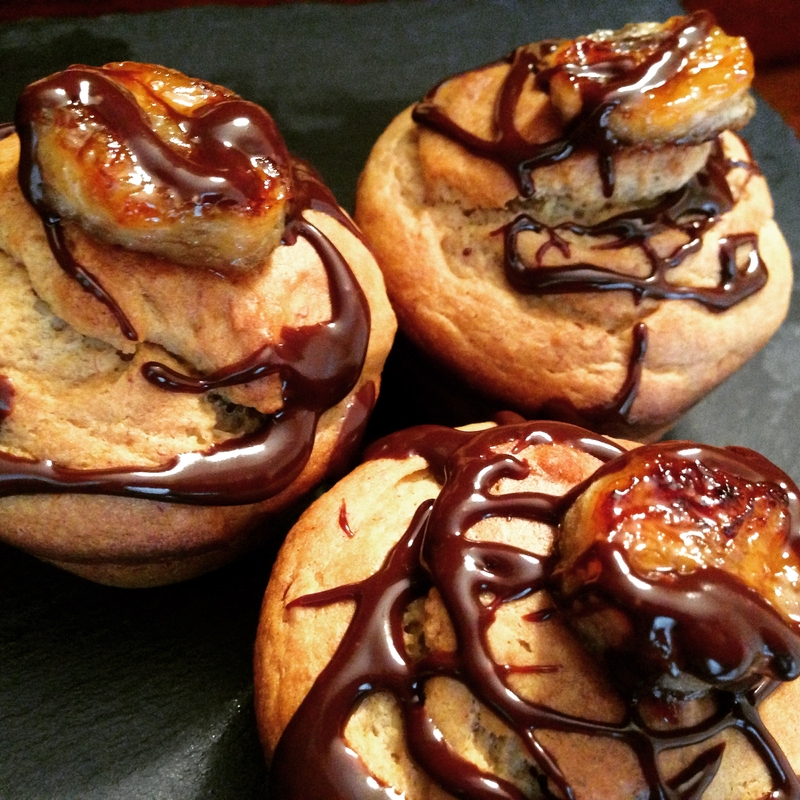 Sounds delicious – you clearly should experiment from scratch more often! The blog still looks fantastic. Wish you lived nearby and I could just come over to “taste test”. Thank you! I wish too! Many of the recipes are quick and also stay well though the week if you make them during the weekend. Let me know if you try anything!